Our abrasive and nozzles are designed to deliver precision and consistency. When traditional sandblasting is too harsh or overwhelming, MicroBlasting provides a precise and controllable alternative to material removal and surface alteration. 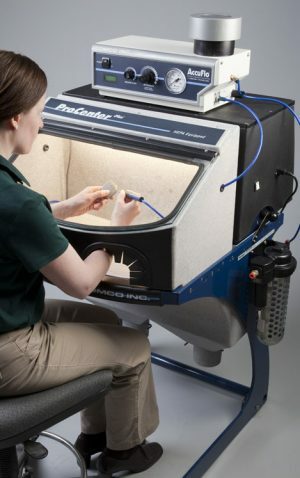 Unlike sandblasting, MicroBlasting uses a very fine abrasive media mixed with compressed dry air. 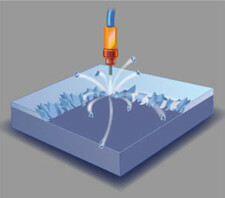 This mixture propels through a miniature nozzle designed to increase the stream’s velocity and allows an operator to precisely direct the stream at a target. Comco MicroBlasting systems are used across industries to texture, deburr, clean and erode a wide variety of materials—even the most delicate. The micro-scale of our technology is ideal for refining and altering small parts that must meet strict industry standards. By simply adjusting the blast pressure, abrasive type or nozzle design; a Comco MicroBlaster easily adapts from a tool that cuts vias in silicon wafers into a tool that deburrs the heel of stainless steel needles. MicroBlasting is used on parts as small as a grain of rice to as large as a basketball. A micro-abrasive stream is so focused, you can deburr the ID of a capillary tip 25 µ in diameter or texture sections of a basketball-sized part without the need for masking. What makes a Comco MicroBlasting System so precise? Scroll down to learn how MicroBlasting can benefit your specific application and what equipment you need to get started. MicroBlasting is one of the most versatile material removal methods available. Each process below is driven by four main variables: abrasive size, abrasive type, abrasive quantity, and velocity. Adjust at least one variable, and your MicroBlaster can switch from a tool that deburrs to a tool that textures. 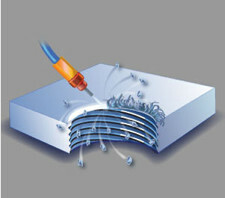 Enhance the adhesion characteristics of a surface for bonding or modify the surface for cosmetic reasons. 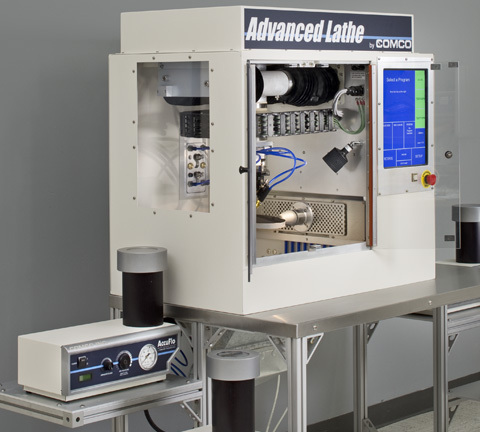 Remove fine burrs on a wide range of materials from exotic metal alloys to soft polymers. Remove undesirable substances, thin films or residues from a surface. 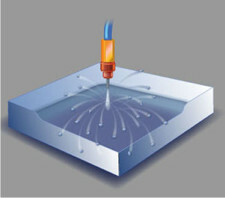 Erode the surface a few microns at a time to mill a channel or pocket. Paired together, the AccuFlo® MicroBlaster and the ProCenter Plus™ form a complete and comfortable MicroBlasting station that suits most manual applications. Our latest blaster incorporates all the best qualities of our classic MicroBlaster® line with an updated design that delivers a more consistent mixture of air and abrasive, more power, and greater efficiency. Complete your blasting system with the ProCenter Plus—a workstation and dust collection system combined into a single freestanding unit. We know how to automate in a harsh, abrasive environment. Our parts-handling designs reflect our experience working with this unique challenge. Each Comco Automated MicroBlasting system is built from common components but customized for your specific application requirements. Is MicroBlasting Right for Your Application? 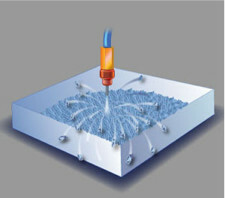 Many factors contribute to the best process, including the abrasive size and composition, the shape of the nozzle, the air pressure, the blast time and the nozzle position. Our Applications Engineers have the tools on-hand to test different variables, and they have the experience to know where to begin. All test procedures and results are documented in a full lab report returned to you alongside the tested sample parts for evaluation. Check out our blog entry “We Take Samples Seriously” to learn more. 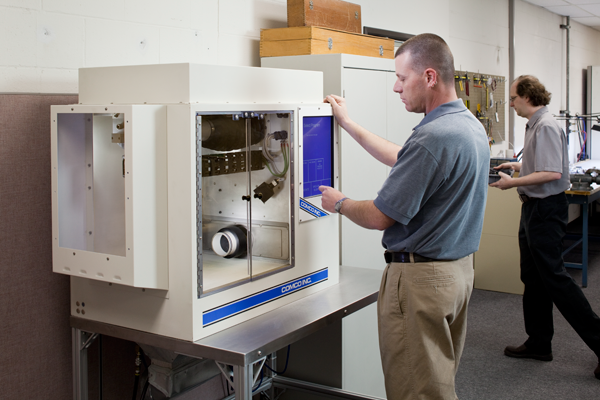 Contact a Comco Sales Team Member today to inquire about having your sample parts tested in our Applications Lab. 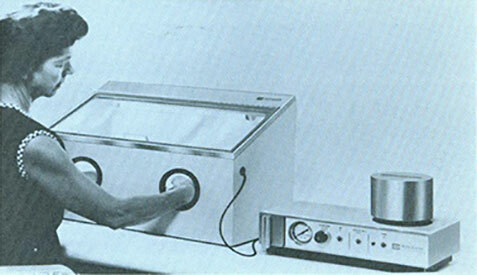 Since the first award-winning Comco MicroBlaster® hit the market in 1968, we have continued to innovate and refine each and every component of our MicroBlasting systems. Every unit is built with our customers’ success in mind and an uncompromising dedication to quality.